If you have recently searched for Top-10 Free Responsive WordPress Themes, then you might be feeling how many there are and that it is really difficult to choose one of free WordPress Theme for your new website or blog. 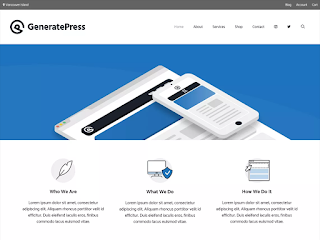 You will find thousands of free templates in the official WordPress theme gallery, while many themes are submitted by developers every day worldwide. There is no doubt that WordPress has always been better suited to be more user-friendly, which is why it has been successfully developed to become the most popular CMS(Content Management System) from the blogging platform. At this time with unlimited amazing resources including free topics, awesome capabilities, plugins support, ease of use makes WordPress the first choice of everyone. As a result: Now creating a website or blog is just like game of small kids, just choose a free theme and customize it, your website or blog is ready to serve. Should We Use 'Free Themes' To My Site Or Blog? Everyone loved the word "Free":- The first reason is that you are getting it for free. You can start your website, whether you have money or not, it does not matter. You can save good by using the Free WordPress Theme. Poor quality is just a myth:- In reality, Free Theme are used by millions of sites. Therefore, in a way they are more stable because already many site owners have already been used for different purposes. For example, you can see ColorMag, which is currently used by more than 100,000+ sites. You can trust on these theme makers :- Below we have listed the theme provided by only theme authors and companies which are quite popular and reputeted .These free themes are beautifully designed, well-coded, easy to use and all are completely safe. So, you can trust on these free topics by closing eye. Freemium is very good:- Most of the free themes nowadays are freemium. 'Freemium' is both coupled with both free and premium, which means premium version with free version. Where premium version has more functionality beside free version has basic feature. If you need more features or better support, you can upgrade the free version to premium version at any time. It is a wonderful freedom. Bellow we have talked about Top-10 Free WordPress Themes that are fully responsive and unparalleled beauty, simplicity, mobile friendly and incredible user experience. These free WordPress theme is going to be so much dominated in the upcoming year 2019.